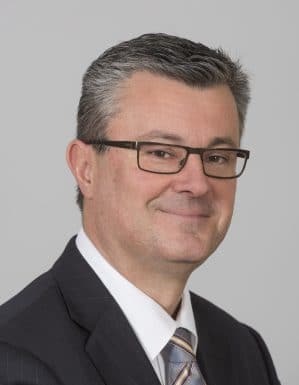 Tihomir Orešković (born 1 January 1966) is a Croatian Canadian businessman who was the Prime Minister of Croatia from 22 January 2016 to 19 October 2016. Born in Zagreb, Orešković emigrated to Canada at a young age and spent most of his life there. He studied at the McMaster University and graduated chemistry in 1989 and finance and information systems in 1991. Before taking office as Prime Minister, Orešković served as CEO and Chairman of the Supervisory Board of Pliva, head of financial management for Teva Pharmaceutical Industries in Europe, and a Chief Financial Officer for Teva global generics business. In the aftermath of an inconclusive parliamentary election held on 8 November 2015 and the ensuing 76 days of negotiations, Orešković was named as a compromise, non-partisan candidate of the Croatian Democratic Union (HDZ) and the Bridge of Independent Lists (Most) on 23 December 2015. He was formally named Prime Minister-designate on the same day by President Kolinda Grabar-Kitarović. Orešković formed the 13th Croatian Government made up of 2 deputy prime ministers and 20 ministers on 22 January 2016. As Prime Minister, Orešković introduced spending cuts to lower the public debt and budget deficit. However, his government was marked with tense relations between the two governing parties, resulting in a government crisis in May 2016. His cabinet lost a motion of no confidence in the Parliament on 16 June and early parliamentary election was called for September. Although Orešković considered participating in them together with Most, he announced that he would not run in the election but rather return to the private sector. On 19 October 2016, Orešković was succeeded by the new Prime Minister Andrej Plenković from HDZ.